A noticeable Canadian trend has a lot of residents and potential home owners concerned. For the past few years the growth of condo constructions in various regions across the country, particularly in metropolitan areas like Toronto, Calgary, and Vancouver, has been on a steady and costly rise. Earlier this year, the Atlus Group’s annual report stated that Canada had experienced the tailwinds of economic and employment growth from its previous year, but the cost of owning a home is still a far reach for many. So then why are prices continuing to increase despite what the experts say? Normac has observed multiple factors that contribute to the rising property and construction costs that make property development, and ultimately home ownership, increasingly challenging. With single detached home ownership improbable for so many, urban centres are re-zoning and erecting multi-unit dwellings to accommodate this pressure on densification. The cities of Toronto and Vancouver remain leaders with regards to property demand, residential development and price. According to Stats Canada, the price of construction for new residential buildings increased by 9.6% for Vancouver and 8.3% for Toronto, year over year. Both Toronto and Vancouver were noted in Atlus’ report to be the most active markets in Canada with very strong consumer demands. In an article published by The Globe and Mail, it’s said that Toronto condo prices began to rise aggressively between the years of 2015 and 2017. We know that in recent months the increase in prices are largely due to the prohibitive costs of construction materials. U.S President Donald Trump has deliberately increased $16.6 billion in tariff countermeasures on crucial components such as steel, aluminium, rebar, concrete and soft lumber. The implementation took place on July 1st, and as one of the United States’ biggest trading partners, Canada and its residents are experiencing the negative repercussions from coast to coast. For the last few years steel has been on a steady incline worldwide, and will continue to rise up to 40% this year alone. It’s also estimated that aluminium will rise over 15% due, in part, to tariffs. Normac has observed the price of windows – which rely heavily on aluminium materials – to have increased to approximately $1,700/square metres (or $160/square feet) in some instances. Another component essential to the construction of condos and high rises is rebar, it is the steel used to reinforce concrete in condo towers, which has also been subject to President Trump’s tariff war on trading partners. It’s quoted in an article published by Global News, “… rebar makes up around 4 per cent of the cost of a condo tower, meaning a 25 per cent import duty would add up to one per cent in construction costs.” Lastly, B.C’s lumber industry has struggled largely due to frequent forest fires in the B.C interior which has limited lumber supply output while demand continues to soar. It’s estimated that American tariffs on construction materials will be passed on to consumers and add to over $10,000 to Canadian condo and home prices. Another trending factor to the surge in pricey condos is that of labour costs. Across Canada there are diminished numbers in skilled labour, and a lack of skilled labour means higher charges by contractors and construction companies. Since December of 2017, Global News has stated Canada’s construction industry has the third largest labour shortage. Additionally, immigration policies have become stricter in Canada and have contributed to the struggle of the construction and real estate industry. Due to matters such as this, labour costs are estimated to increase an additional 2-3% this year alone. 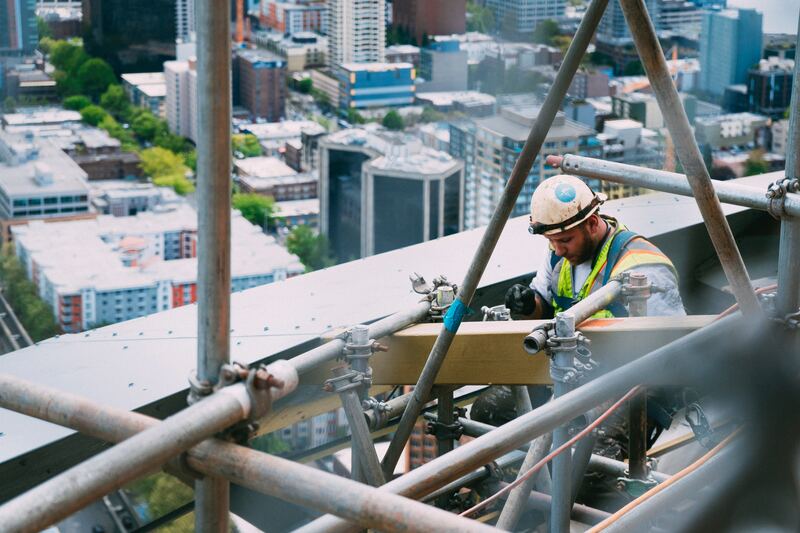 BC construction wages are increasing in an upwards trend with no reprieve in sight. In Toronto, the infamous Vaughan condo project is a good example of a development project that was not completed despite having all units sold out. It was estimated to have created 11,000 jobs and provided people in the community with 1,100 units of livable space. Unfortunately, the project was halted and eventually terminated because the developer was “unable to secure satisfactory construction financing.” Whether this was due to a combination of material costs, labour costs, or location, no one yet knows as the developer has not commented on the matter. As insurance appraisal experts, Normac is always aware of current construction costs and attune to industry developments and trends. As a result, we ensure that your insurance appraisals are accurate, and that your properties are protected and appropriately insured to full replacement value. For a no-obligation proposal, click here.